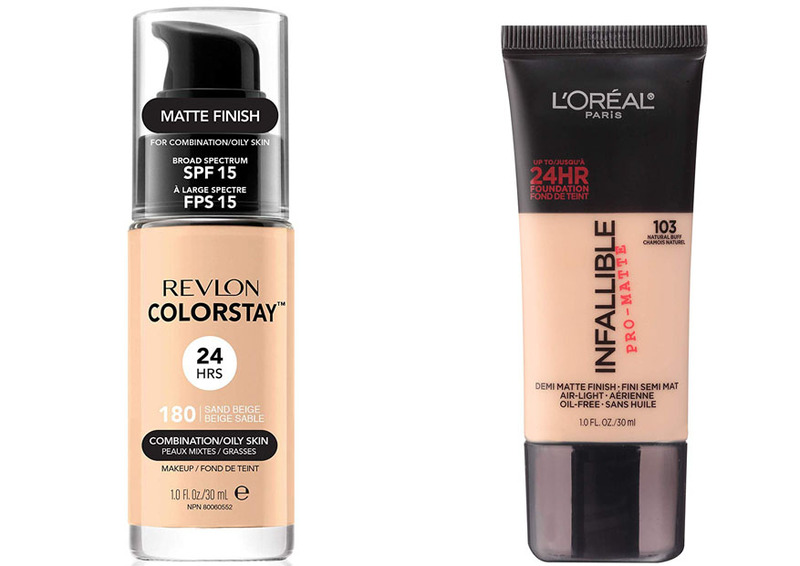 Revlon ColorStay vs L Oreal Infallible both claim to be able to provide the best coverage that can last for 24 hours. Hence, these long-lasting foundations have been chosen by many people for their daily activities. So, which one is actually better? Read the comparison below to find the most suitable foundation for you! Let’s start with Revlon ColorStay. This foundation comes in a transparent glass bottle which will allow you to see the content easily. It is somewhat heavy. The cap is made from a transparent plastic, but with a black internal layer. See also: Olay Regenerist vs Neutrogena Rapid Wrinkle Repair. On the back of the bottle, you can find a short explanation about how to use the foundation. It is said that you need to shake the bottle well before taking a small amount of the liquid. Apply to an area at a time, but blend them quickly. Although Revlon ColorStay has a built-in SPF 15 protection, you still need to avoid prolonged exposure to the sun. The foundation can be easily removed with a facial cleaner. When choosing between Revlon ColorStay vs L Oreal Infallible, you may want to consider the available shades that they offer. Nobody wants to look like an artificial doll. You need a foundation that matches your skin tone in order to appear natural. Revlon ColorStay is really great in terms of shade options, as it is now available in at least 41 different shades. Some of them include sand beige, medium beige, natural beige, ivory, porcelain, natural tan, toast, caramel, and cappuccino. So, you should be able to find one that perfectly matches your skin tone. You can also mix different colors for an even better result. In terms of durability, both Revlon ColorStay vs L Oreal Infallible are really long-lasting. They can stay on your face throughout the day without requiring frequent fixes or reapplications. However, they do have different characteristics. At the first time opening Revlon ColorStay, you may get slightly overwhelmed by the strong floral scent. Fortunately, this scent does not linger around for too long. Once applied, the foundation’s scent will dissipate and eventually disappear. The texture is very liquid and thin. As the effect, it will be difficult to apply using a brush. That said, thanks to the liquid texture, you won’t find any problem in achieving an even coverage throughout your face. Also, it can combine easily when you are mixing two different shades together. Note that the foundation tends to dry pretty quickly, so make sure that you don’t wait too long to blend the different areas. 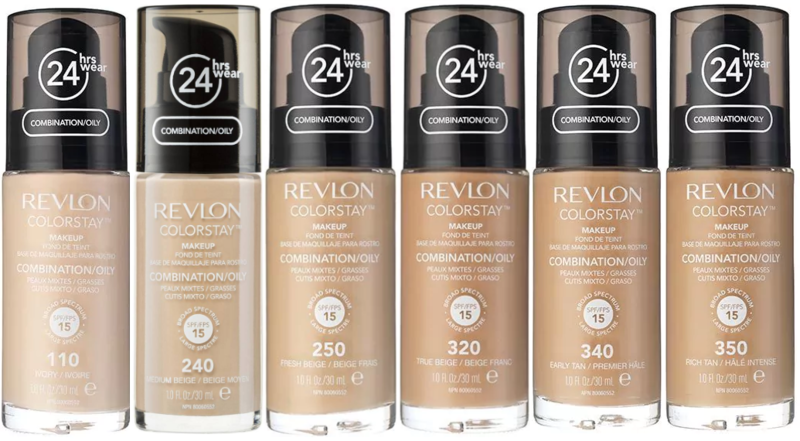 In terms of coverage, Revlon ColorStay is easily the best in the market. It will instantly hide any redness or pore with just one layer. Some dark scars may remain slightly visible if you only use one layer, but you can easily build it up to get a full coverage. The foundation has a matte finish, so you can skip the powder. It definitely has excellent oil control. It will keep you shine-free for at least 8 hours. After the eighth hour, it will start to become slightly patchy, but it will still stay on your face. L Oreal Infallible comes in a relatively simple packaging. It uses a plastic tube which is lightweight and easy to carry around. Well, it lacks the premium feel like what Revlon ColorStay’s glass bottle offers, but it is efficient and practical. The tight cap will keep the content sealed properly when you are traveling. Unlike Revlon ColorStay, which will require you to pour the liquid carefully to your hand, L Oreal Infallible has a relatively small opening. It is neither too large nor too small. As the effect, you will be able to get the right amount of the foundation without having to worry about pouring too much. On the back, you can find short information about the finish, coverage, texture, and how to apply. Unfortunately, the application direction is not really detailed. It only tells you to smooth the foundation in a rolling motion in order to achieve a flawless coverage. This foundation does not have any built-in SPF protection. Compared to its previously discussed, L Oreal Infallible has significantly fewer shade options. This is not necessarily a disadvantage because the available shades can already suit a wide range of skin tones. Besides, you can mix two shades together for a more matching color. There are 12 shades available. They include classic ivory, natural beige, sun beige, golden beige, fresh beige, shell beige, crème café, caramel beige, classic tan, natural buff, soft sable, and cocoa. L Oreal Infallible has a slight chemical scent. Fortunately, this scent is very mild, so it will not be too noticeable to the people around you. The scent will also eventually disappear after some time. The texture is light, but not too thin. It will allow you to achieve an even coverage easily. However, it also sets and dries very quickly, so you will have to work quickly to blend it over your skin. 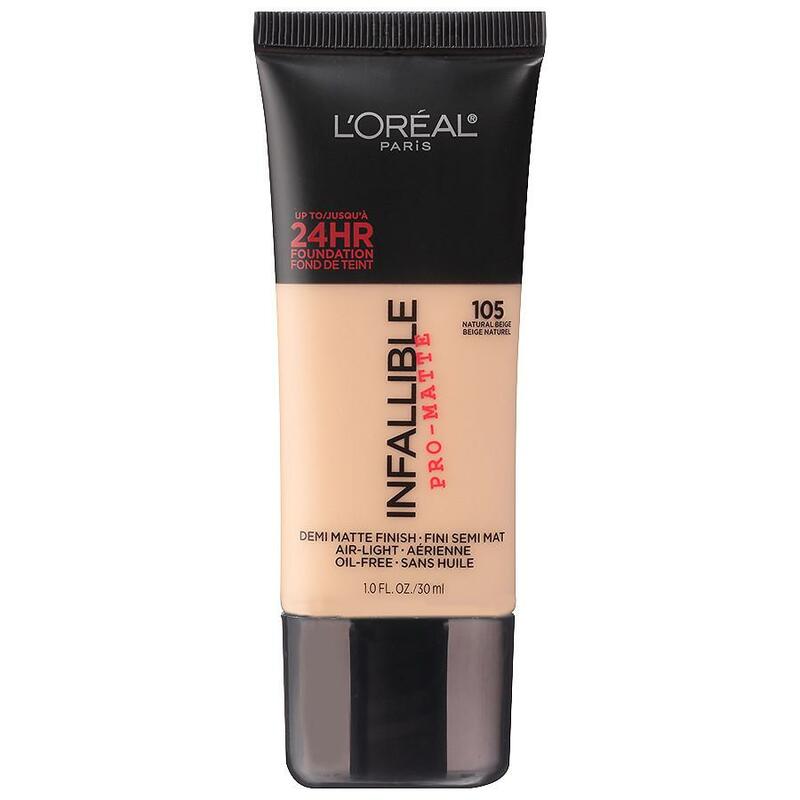 L Oreal Infallible has a medium coverage, and it can hide most blemishes with just one layer. However, you won’t be able to add a second layer because it will look really cakey. Nevertheless, the finish is matte, so you don’t really need to put some powder on it. It feels lightweight. This foundation has an oil control formula which will prevent your face from becoming too shiny in a hot day. It is quite durable, as it can remain relatively intact after the eighth hour, but it tends to sink into the skin pores and fine lines after several hours. Between these two long-lasting foundations, Revlon ColorStay is more recommended. It has more shade options, and it has a better workability that will allow you to build it up and achieve a full coverage. The matte finish is very nice. Plus, it has a built-in SPF 15 protection.